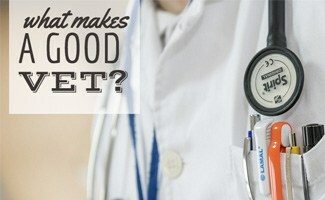 Home > Dog Health > Veterinary Tips > What Makes A Good Vet? It’s important to find service professionals in your life you like and can trust. There’s nothing worse than having an appointment with a doctor or meeting with your lawyer and they don’t remember you or any of the information you’ve provided them with in the past. Similarly, you want an empathetic vet you trust and get along with because they are ultimately responsible for taking care of your furry friend in good times and in bad. But what attributes make up a good vet exactly? Read on to learn how to find a good vet and what to look for when seeking high-quality veterinary care. According to the American Veterinary Medical Association, there were a total of 105,000 U.S. veterinarians in 2015. With so many to choose from, how do you “vet” the best vets and go about finding the best fit for you and your precious pet? Here are some tips for how to find a good vet. Neighbors are a great resource for finding a vet since they most likely have ones that are in the same geographic area as you. While you’re out on a walk or if you notice another pet owner with their pup, ask if they have any worthwhile experiences to share and a vet’s office to whom they would recommend. Join Nextdoor (a social network for neighborhoods) and post a question or search the existing forums for ideas. Fellow pup owning friends in your town, at your church or in a local organization you belong to are great resources as well. You might even use Facebook to search for “vet” or “veterinarian” and then narrow down the results by geographic location. The great perk of using social media for this search is that you can filter content to just your friends and see if they checked in or shared any posts about their pet doc experiences. Finally, you might try calling a nearby animal shelter or ASPCA to see if they can recommend someone. A few obvious places to look are Yelp, Foursquare and Facebook for people’s ratings and personal experiences. But other sites like the Better Business Bureau and your city’s chamber of commerce are other good sources for service provider reviews. Make sure you read both positive and negative feedback as people often take the time to leave their two cents if they’ve had a bad experience, but not so much when they’ve had a good one. Look for trends of similar positive or negative things said about any particular practice. Having a board certification is a bonus because it requires a vet to pass an additional exam and two to four years of study in a specialty area. Another thing to find out is if the clinic is certified by the American Animal Hospital Association (AAHA) which is a voluntary stamp of approval that signifies the office meets and maintain a high standard of equipment, facility and quality of care. In this four-minute video, Dr. Katy Nelson from The Pet Show talks to AAHA about what you should look for in a veterinarian. Dr. Nelson also covers the details on AAHA accreditation and why it matters. As mentioned in the video, you can use the AAHA website to locate your nearest accredited animal hospital. It’s also good to know if your pet’s doctor is involved with any outside volunteer or charitable organizations. If so, this demonstrates they have a vested interest in giving back and helping others (including your pup). Once you narrow down your list to a few favorites, ask to schedule a consultation which gives your pet a chance to sniff them out (literally) and to see if there’s a nice connection between your dog or cat and the vet. Depending on their office environment and the people there, your pet might have a better experience at one place over another. Since your pup or kitty can’t tell you their thoughts, pay attention to symptoms like anxiety, barking and take note if they establish a good rapport with the office staff. It also gives you a chance to ask questions about their policies, pricing and philosophies. This can give you a better perspective and provide extra peace of mind when it comes to making a decision. Here are some additional characteristics and qualities to look for when finding a good vet. Quality of Facility: Is the office sanitary, comfortable and accommodating? Characteristics of Vet & Staff: Are they professional, helpful and knowledgeable? Are they caring, nurturing and calm with you and your pet? Location: How easy is the vet to get to from your home or office? Is parking a problem and/or is it accessible by public transit? Convenience: Do they provide any added value options like house visits or follow-up calls? Accessibility: Do you need an appointment for urgent or last minute needs and what are their hours? Personalization: How many vets are there and if there are multiple, will you see the same one? Communication: How often and what methods do they use to let you know about appointment and vaccination reminders? Are they good about explaining things and answering your questions? Of course, pricing is a huge factor too, but luckily, if you have a pet insurance plan, then your plan will reimburse you for some (if not all) of any emergency or illness related costs depending, on your plan and the treatment or procedure. Your dog’s health is too important to compromise when it comes to finding a good veterinarian. This is crucial because you share valuable information with them. But, perhaps more importantly, because they are responsible for taking care of your best friend. 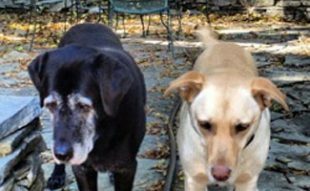 Finding a good vet might take a little more time up front, but it’s well worth it in the long run (and will keep your dog’s tail wagging for years to come). 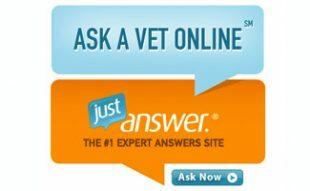 Have any tips or experience on how to find a vet? I appreciate your tip about how when choosing a veterinarian, it’s important to consider the quality of the facility, checking whether or not the office is comfortable and accommodating. I think this is important because a quality facility is a sign that the veterinarians will likely provide quality care for your pets. My family just moved into a new neighborhood and we’re noticing our pup has a limp in his back leg. We’ll have to find a veterinarian in our area that has a clean, high quality office, so we can be sure our little dog is getting the medical care he needs to heal as soon as possible. I agree that you want to make sure that a vet is accessible. It would make sense to find someone who is qualified and experienced in order to know your pet will be in good hands. My husband and I are looking for a vet to help neuter our cat, so we’ll have to consider how easy it is to get to their office. Thanks for pointing out that if we see neighbors walking their dogs, we can ask them about their experiences with local vets. My husband and I just moved to a new area, and we’ve been trying to find a reputable veterinarian to take care of our two dogs. We don’t know anyone in the area to ask, so it’s a great idea to ask people we see walking their dogs. When choosing a vet it can definitely help to ask for recommendations. After all, you will want to make sure you are choosing one you can trust. If a family member or friend can recommend one that they trust then it is a good place to at least start. I totally agree that your pet should see the same specialist at every visit if a clinic has multiple specialists. My wife and I recently bought our daughter a dog, and our dog is very shy around new people. I would really like it if our dog was able to get used to one specialist everytime we visited the vet! I am glad you said that it’s important to find service professionals in your life you like and can trust. My dog needs surgery and I have been looking for a good vet for him. Thanks for the information on what makes a good vet. Finding a good vet really is important not only for you but it’s important for your pet to have a good relationship with their vet. I agree that one of the first things you should do is ask for recommendations from your friends or family to see if they’ve been using one they like. My brother just got a puppy and he is in the process of looking for a vet; I will have to share this with him. That’s good to know that you should look to see if a vet is board certified and if the clinic is certified by the AAHA so you’ll know that it has high standard equipment and care. My husband and I just bought a Corgi so we’re trying to find a good animal clinic to go to. We’ll have to look online for the certifications so we can make sure we go to one that has high approval ratings from the industry. My new puppy is the cutest thing ever. I want the best life for her, so I want to make sure I find a good veterinarian. Thank you for the advice about reviewing the positive and negative feedback of a veterinarian when looking at their reviews. It is important I find a reliable doctor for my little baby. I totally agree when you said that it is important to find the best veterinarian for my pet since they will be responsible for taking care of the animal. With that in mind, I will make sure to take some time in looking for the vet for my dog to ensure that I will avail the services of a good one. Good thing that I will be receiving the puppy that I bought two weeks from now. It will still give me time to check on the vet clinics in town to find a reputable one. Thanks! 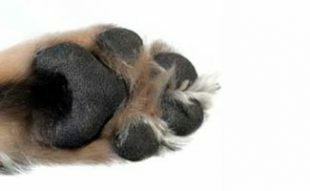 You made a good point about reading online reviews on certain websites and in social media sites to make sure that the veterinarian you picked is known best in the business of taking good care of pets. It makes sense because people will mostly leave reviews based on how they’ve been touched with the service or otherwise and will be happy to let everyone know about it. I’ll definitely follow your advice in seeking a veterinarian to perform a regular check-up with my dog. Thanks for explaining some of the accreditations that we can check to ensure that the veterinarian and the facility are reliable. As you mentioned, being able to be certified by the AAHA means that the clinic has met the standards regarding the equipment, facility, and quality of care. I will keep that in mind when I look for a vet clinic this month. We have to find one as soon as possible because we will be receiving the dog that our friend promised to give us next month, and we need to make sure that it will receive the best possible care. I like that you suggested going to the actual clinic to help you decide whether they are the best choice for your pet. Like you said, visiting the place itself will give you an idea if the vet and the pet will have a good connection that can help you make the decision right then and there. My pup hasn’t been eating well lately and also has a fungal issue with its skin, so I really have to find a clinic that can solve this problem fast. Thanks! Your advice to narrow down the list to a few favorite veterinarians and schedule a consultation with them is a good idea. I also like that you mention how this is a good opportunity to ask questions. You could also use this chance to make sure that you and your pet are comfortably at the veterinary hospital and talking to all the staff members, such as their any assistants or secretaries. I recently bought my first cat and I want to find a quality vet who can walk me through the steps of keeping her healthy. 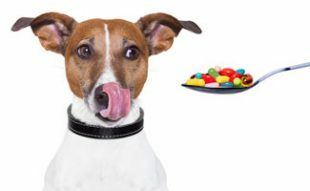 You make a great point that you should ask for recommendations from friends who have pets because they will give an honest opinion of their veterinarian. Also, I will make sure that the vet I choose is certified by the American Animal Hospital Associate because this will give me peace of mind that they are a reputable clinic. I totally agree that it is very important that if there are many vets in one clinic, my pet keeps seeing the same specialist. I have a puppy who is very active and does not like strangers. I will make sure that in the vet clinic I choose we will see only one professional so that my pet could get used to him. Thanks for the advice that I ask neighbors that are out and about with their pets about local vets they would recommend. Since my husband and I just moved, we are looking for a great animal clinic we can take our puppy into for check-ups or emergencies. Since there’s another couple that walks their dog at the same time we do, I’ll definitely chat them up for what animal clinics they would recommend we take our pet to in case of an emergency and just regularly as well. My wife and I have recently adopted a puppy. She is a beautiful husky, and we want to make sure she stays healthy and strong. I didn’t realize how important is to look at a veterinary clinic’s accreditation to see what its standing is among its peers. I’ll be sure to remember that consideration as we start our search.